From New York Times Bestselling Author, Penelope Douglas, comes the latest standalone love-hate romance..."We were perfect together. Until we met." MishaI can't help but smile at the lyrics in her letter. She misses me.In fifth grade, my teacher set us up with pen pals from a different school. Thinking I was a girl, with a name like Misha, the other teacher paired me up with her student, Ryen. My teacher, believing Ryen was a boy like me, agreed.It didn't take long for us to figure out the mistake. And in no time at all, we were arguing about everything. The best take-out pizza. Android vs. iPhone. Whether or not Eminem is the greatest rapper ever...And that was the start. For the next seven years, it was us.Her letters are always on black paper with silver writing. Sometimes there's one a week or three in a day, but I need them. She's the only one who keeps me on track, talks me down, and accepts everything I am.We only had three rules. No social media, no phone numbers, no pictures. We had a good thing going. Why ruin it?Until I run across a photo of a girl online. Name's Ryen, loves Gallo's pizza, and worships her iPhone. What are the chances?F*ck it. I need to meet her.I just don't expect to hate what I find.RyenHe hasn't written in three months. Something's wrong. Did he die? Get arrested? Knowing Misha, neither would be a stretch.Without him around, I'm going crazy. I need to know someone is listening. It's my own fault. I should've gotten his phone number or picture or something.He could be gone forever.Or right under my nose, and I wouldn't even know it. 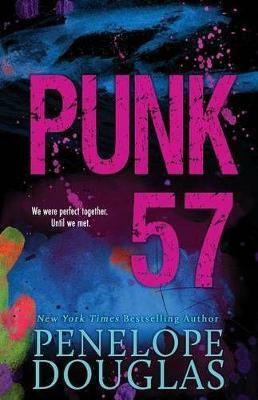 *Punk 57 is a stand alone New Adult romance. It is suitable for ages 18+.